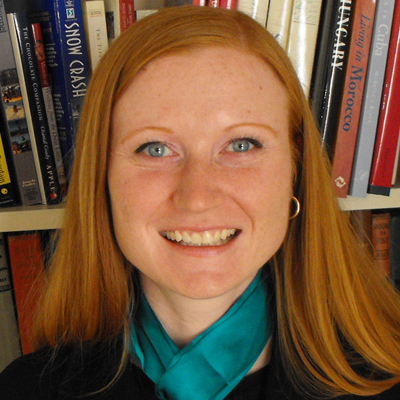 Laura Hosman is Assistant Professor of Political Science at Illinois Institute of Technology. Prior to IIT, Professor Hosman was a Ciriacy-Wantrup Postdoctoral Fellow at the University of California, Berkeley and a Postdoctoral Researcher at USC’s Institute for Communication Technology Management at the Marshall School of Business. She graduated with a Ph.D. in Political Economy and Public Policy from USC. She was the 2011 recipient of the Outstanding Faculty Award in IIT’s Interprofessional Projects Program (IPRO). Her current research focuses on the role for information and communications technology (ICT) in developing countries, particularly in terms of its potential effects on socio-cultural factors, human development, and economic growth. Her work focuses on two main areas: Public-Private Partnerships and ICT-in-education, both with a focus on the developing world. Her research has been published in Information Technology for Development, Review of Policy Research, Perspectives on Global Development and Technology, International Journal of Media and Cultural Politics, and Journal of Business Systems Governance and Ethics, among others.